This week we had a drive by Hurricane, turned Tropical Storm, finally dying out as a Tropical Depression. The only significant weather phenomenon from it was an easterly surf swell not usually seen here. Most of the time it’s a Trade Wind swell not storm generated. Plus, the direction allowed for surfing in spots that rarely get good action. 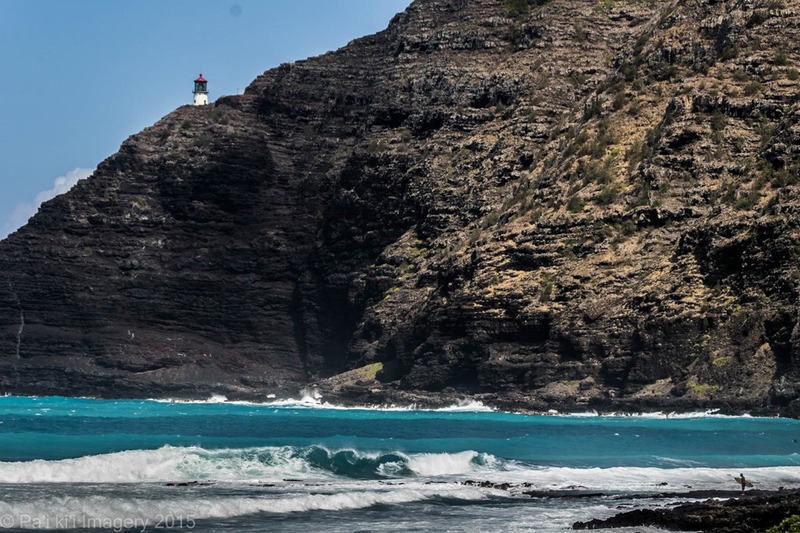 This shot was taken looking across to Makapuu Lighthouse. The surfer paused, waiting for a good moment to walk the rest of the way on the rocks and into the surf.